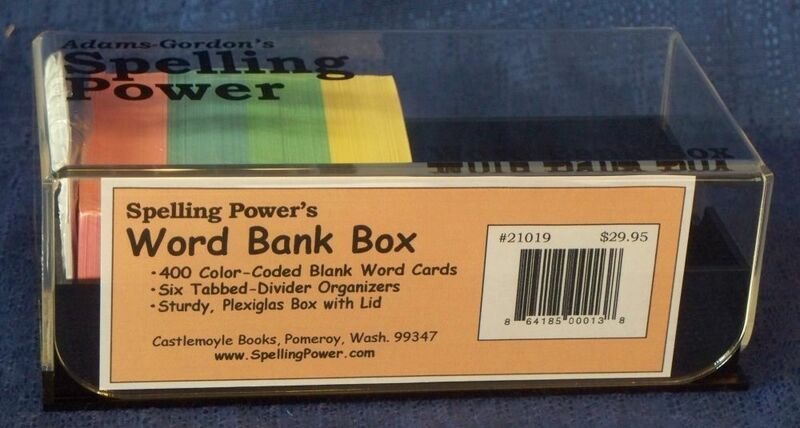 The Spelling Power Word Bank Box is the perfect way to give your student a neat, organized way to make and store his own spelling study word cards. They’ll be ready-to-use in one of Spelling Power’s many skill-building activities or for easy drill and review of troublesome spelling words. 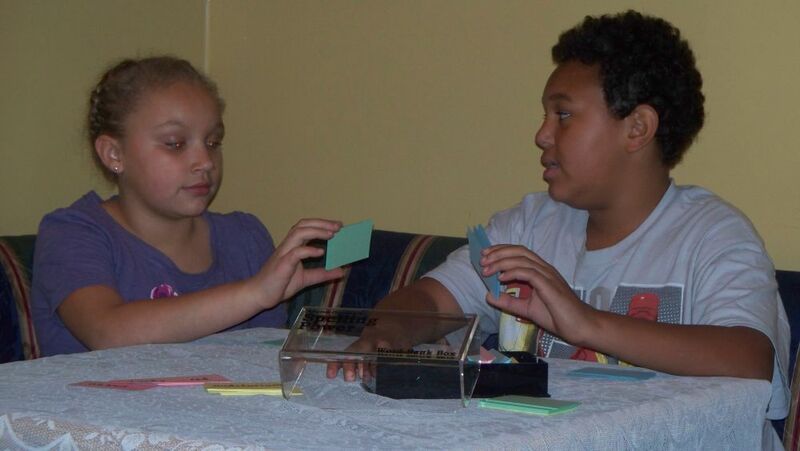 Victoria quizzes Thomas' words from his green cards as Thomas prepares to test Victoria from her blue color-coded study cards. Six divider tabs allow your student to arrange and rearrange his word cards for Daily, Weekly, Monthly, and Review study. There are separate tabs for the cards he has mastered and for his unused Blank cards. The four colors of the large (3.5" x 2") blank word cards allow you to assign a different color(s) to up to four students or by type of Word Card game. 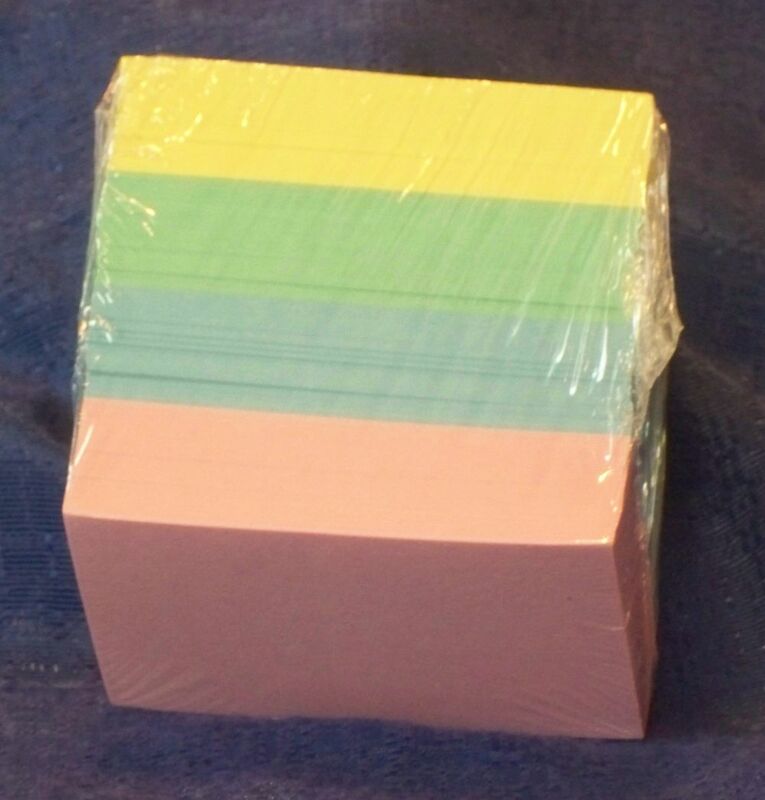 Additional Blank Word Cards may be purchased separately in a pack of 400 color-coded cards (100 of each color). 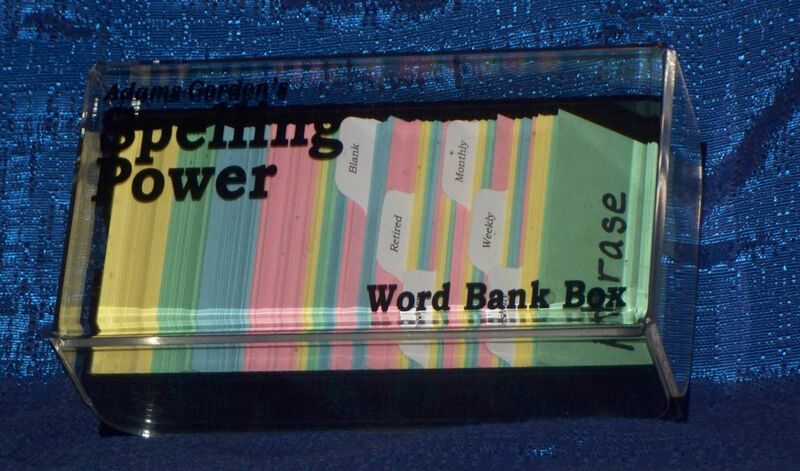 The Spelling Power Word Bank Box is large enough to hold the spelling study words for the level on which your student is working. It comes with six divider tabs and 400 blank word cards in four different colors. Each box will serve up to four different students. Your Spelling Power Word Bank Box is a sturdy, plexiglas two-piece box with removable lid that will stand up to years of use. 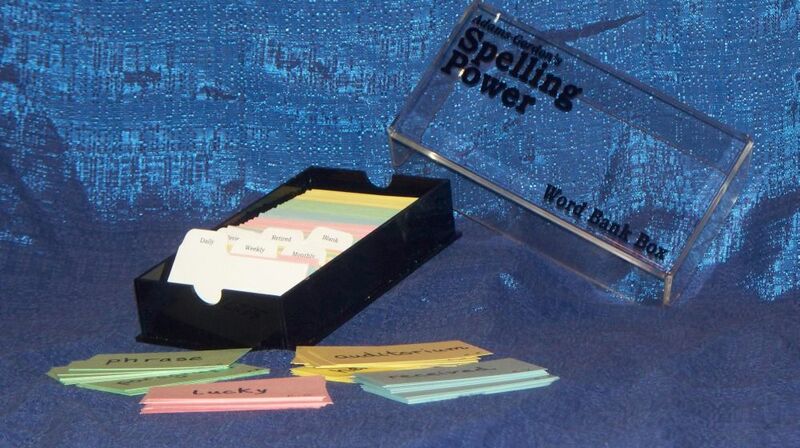 You are viewing the Spelling Power Word card Box. The Word card Box (with 400 blank cards and a set of dividers) sells for $29.95 plus shipping. Additional sets of 400 cards are available for only $6.95 plus shipping. They are available from www.SpellingPower.com or from Castlemoyle Books at 509-843-5009.